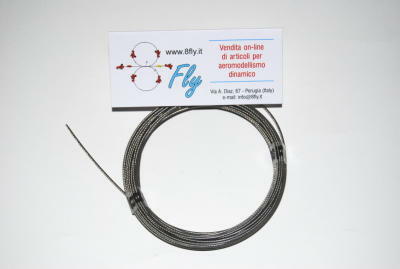 This flexible wire is covered with clear, almost invisible, Nylon. The wear on linkages and rigging wire fixings is kept to a minimum. The Nylon covering prevents mechanical generated noise interference. 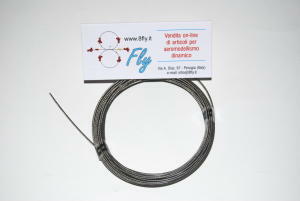 Please note: Due to the Nickel-Chrome alloy used this wire cannot be soft soldered. Crimping sleeves are used to fix and join the wire. Rigging wire for large models such as our big Tiger and Sopwith Pup.